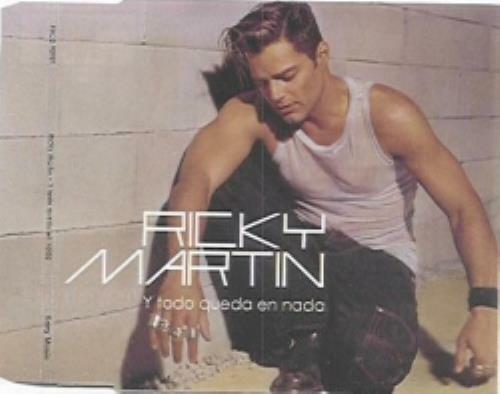 RICKY MARTIN Y Todo Queda En Nada (2003 Mexican promotional only 1-track CD, taken from the 'Almas del Silencio' album. Complete with a stunning custom picture sleeve of Ricky in a white vest and black jeans sitting aginst a wall PRCD98981). or visit our Ricky Martin image gallery.